Salt enhances the flavor of virtually everything we put it on. Salt is our friend. 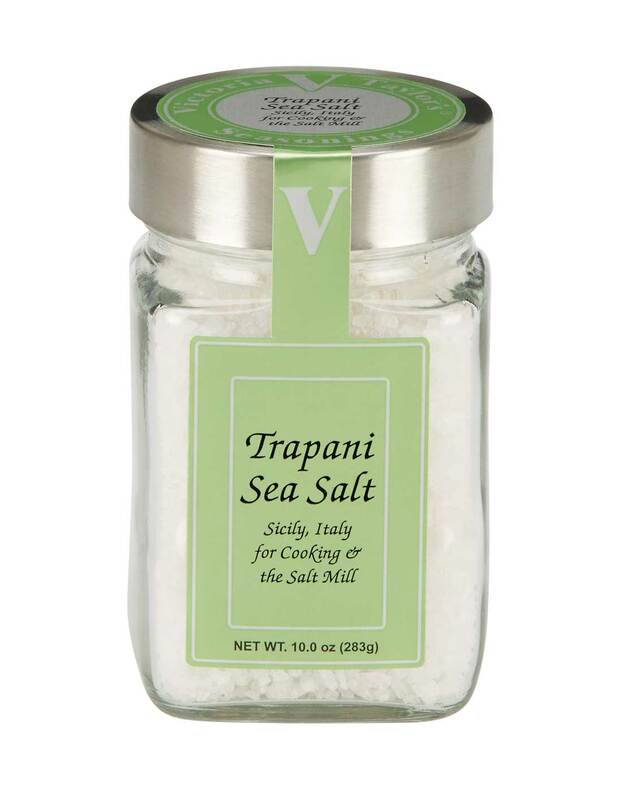 Our Trapani Sea Salt is harvested from the northwest coast of Sicily using century old methods. Ancient windmills power the stone wheels that grind the salt dried by the Sicilian sun. The resulting white crystals are very dry and possess a strong, pure salt flavor that is ideal for salt mills and recipes.